Instagram which is one of the best social media apps and has millions of users, based on images and videos, Instagram keeps on updating and adding new features to it. 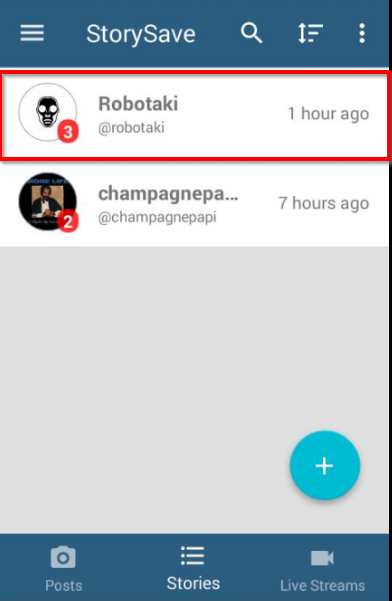 It has a unique interface which can’t be available on other social media apps. The latest update or the new feature that Instagram has launched is Instagram story by which you can let your Instagram followers know the day of yours, by uploading your Instagram Story. This feature comes with the really interesting concept, you can upload the Instagram stories as an image, as video or even both together in separate part. There is no limit on uploads, you can upload as many as images and videos as possible. And your followers can write a reply to any image or video story of yours, they can even reply to a story as image and you can directly send any story as a message to any of your Instagram contact. On other side, the person who has uploaded the story, can see how many and who exactly has seen their Instagram story. It is a good feature though but still, some people find this inappropriate because if someone is silently browsing on Instagram then he can’t be anonymous on that if he accidentally clicked on someones Instagram story or even if a user actually want to view the Instagram story anonymously. To avoid that and check Instagram story anonymously, you probably will think how to view Instagram story without them knowing !. Yes, since such demand of Instagram users increased, and people started doing such queries so finally developers have developed such application by which you can view Instagram stories without them knowing and the good part is that there is no such need to root your mobile device. These apps are available for Android and iOS as well. For Android here two best and trusted apps available on play store which can do this task for you, just follow the below steps to know how to do this. Download and Install StorySave from Play Store. Open StorySave app and It will ask you for your Instagram account credentials. Just log in with your Instagram account Username and Password. Once logged-in then you can see the number of Instagram accounts who has uploaded stories, just Tap in anyone of them. 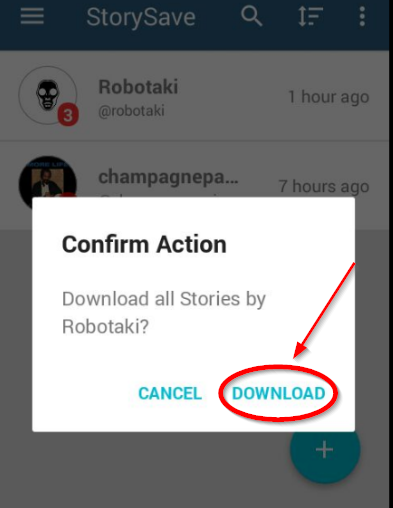 It will ask your permission to download all stories from that particular Instagram account that you have tapped. Click on Download and It will download all stories from that Instagram account. Or If you want to download all stories from all Instagram accounts then just press the Blue plus icon and hit the blue button it will ask your confirmation, so press the Download button. Once done with either option, by downloading separate account story or all accounts stories then you can find out then all in your android phone gallery. Download and install StorySaver from Play Store. Open StorySaver and log in to your Instagram account. You will see the list of Instagram users here click on any one of which you wanted to see the story. On next window, it will show all stories including images and videos in a single area. Click on any one and hit the save option. It will download the particular story from that particular Instagram account that you have chosen. You can do the same with other accounts too. This is the easiest method by which you can download Instagram stories and view them so that the owner of those Instagram stories will never know that you have actually viewed their story.